In D-Day at Peleliu, designer John Butterfield advances the solitaire system of his award-winning D-Day at Omaha Beach to the next level. You control the US forces against a Japanese defense determined to hold the island at all costs. 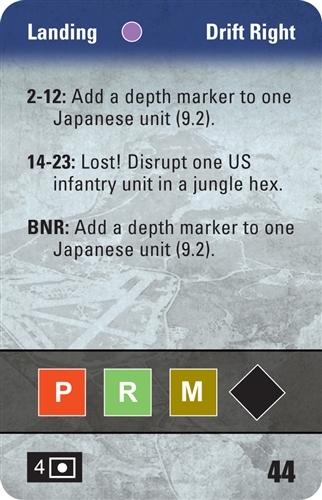 An innovative no-dice combat system highlights unknown enemy deployments and the importance of using the right weapons and tactics. 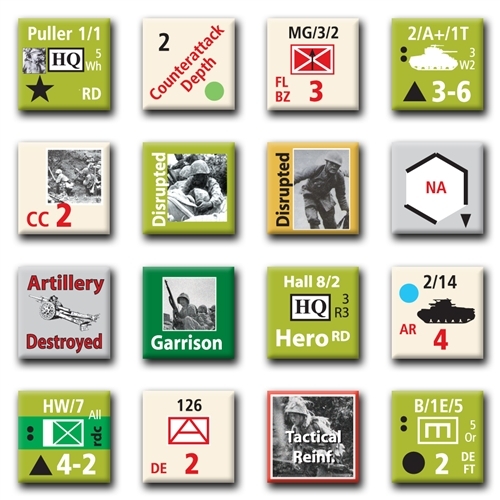 Event cards keep the action flowing and the rules simple while introducing historical detail. September 15, 1944 – your Marines must survive the initial landing and seize the airfield. 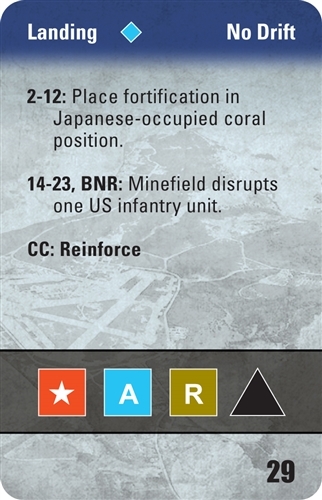 Peleliu Assault – your forces have two days to secure the island. Bloody Nose Ridge – a month into the campaign, your exhausted Marines must dig out the surviving defenders from their mountain network of fortifications and tunnels.